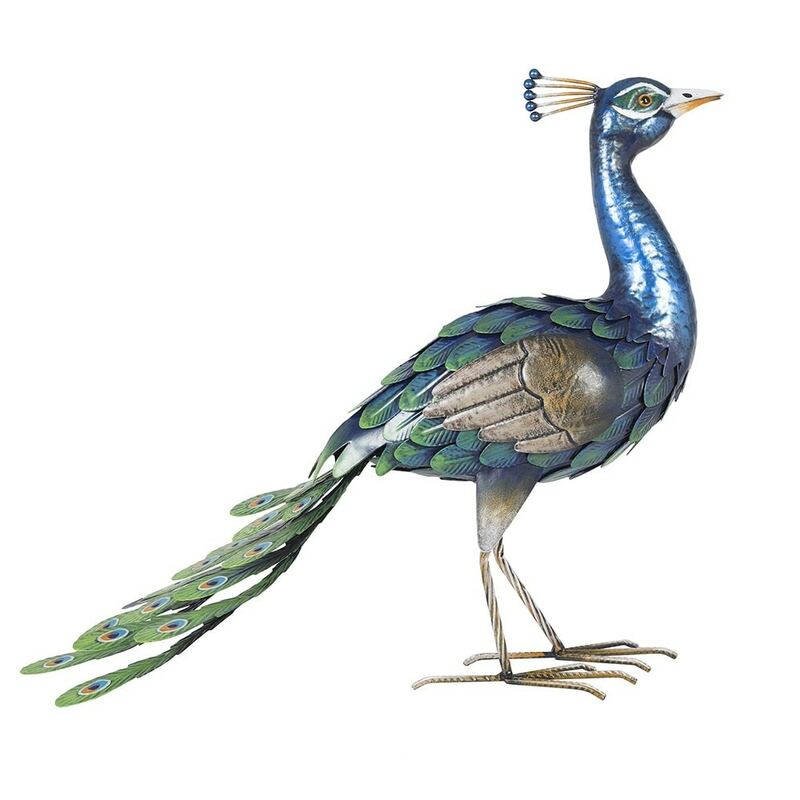 Beautifully detailed and hand finished in vibrant blue, this majestic steel peacock brings stately home chic to any garden. Stand him on the lawn or on a prominent tree stump from where he can proudly survey his domain. Suitable for indoor and outdoor use.